A curious thing happened on the island of Elba a few years ago. In one of the Tuscan island’s most beautiful beaches, Le Ghiaie, a series of freak waves started to occur with oddly predictable frequency. The crystalline blue waters, a favorite among parents for their peaceful delicate ripples, would suddenly agitate wildly every two hours four times a day, often engulfing a large part of the shore and anything on it. The small beach became packed over the coming months: first came the nature enthusiasts, closely followed by budding surfers. The word started to spread on this natural spectacle, and tourists started to time their excursions accordingly. This sparked the interest of curious islanders wanting to see it for themselves, until the crowd became so big that local and national news outlets began reporting on the phenomenon. A few years ago, on the island of Elba, a series of freak waves started to occur with oddly predictable frequency. 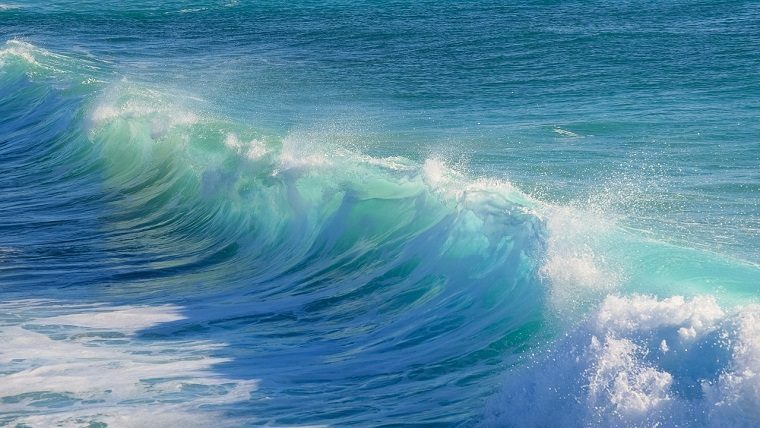 The formation of waves and tidal patterns is a complex but well-known science. What was happening at Le Ghiaie was not because of changing winds, movements of the earth, or electrical currents. Except for those four daily instances of powerful wave bursts, the beach was calm like always and the warm summer days were otherwise uneventful. None of the small island’s thirty other beaches were experiencing anything like this, making it an even greater conundrum. Waves are oscillations in the surface of the water that work similarly to vibrations, undulating by way of the equilibrium of returning forces. Think of striking a guitar string and the vibration it creates in the soundscape. 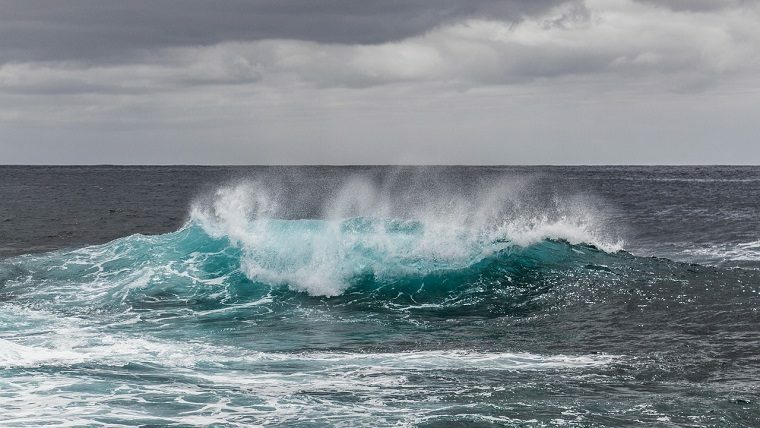 If we looked at one unique wave from its formation to the point where it crashes on the shore, we’d see that it actually begins on the ocean floor and forms upward until it reaches the surface of the water. Once that moving force is bound with the force of the wind, it will push it to travel faster, harder, and greater. The rounder the waves become, the faster they will travel, inevitably. The majority of the beachgoers that had gathered on Le Ghiaie would spend their days watching the waves as they began to form trying to spot for clues. The temperature stayed the same, so any meteorological influence was quickly ruled out. Winds would intensify as the waves picked up, and though it was hard to pinpoint which came first they strengthened one another like two dancers that suddenly united in a movement. Waves are oscillations in the surface of the water that work similarly to vibrations, undulating by way of the equilibrium of returning forces. Waves are created by wind blowing across the water, changing the water’s surface first into ripples and then into waves. As the wind always blows faster than the waves move, you will feel the wind gushing, before the waves appear. As the wind is the driver of the trend (the wave) and when you feel at the beach the wind picking up coming in from the ocean you can expect big waves to follow. This called an “underlying trend”. If the temperature at the beach suddenly drops, for instance when the sun is shielded by lots of clouds, you could expect wind to start picking up. If the wind happens to come from the ocean, waves will follow. So a drop in temperature at the beach is a “weak signal” – it might predict waves, but not with certainty. What made this phenomenon so peculiar was that Elba is not an island of surprises. As a small island ensconced by Corsica and Tuscany, it has always enjoyed the Mediterranean sea’s relaxed temperament. It rests on no particularly active fault lines so there was not much use exploring for anomalies happening below the surface of the water. In places like Hawaii or Australia, where the open ocean travels hundreds of kilometers until it reaches land, hardly anyone would have noticed. But this was something entirely new, something that had not been seen before in this peaceful island and was as hard to explain as it was to ignore. A drop in temperature at the beach is a “weak signal” — it might predict waves, but not with certainty. Unaware of everything around them, the waves kept on coming. They maintained their rhythms four times a day, every day, and became so reliable that Le Ghiaie was renamed by the islanders as “clockwork beach”. Food trucks began parking themselves in the lot nearby to support the surge of beachgoers. Improvised beach vendors started to focalize their business sites, chasing the crowd that had moved from the more popular beaches in the southern part of Elba. As the months passed, they even started to evolve the landscape around them with their constant battering force. Algae started to appear, as did new types of rocks and pebbles on the shore. And yet among this unpredictability, the waves stayed true to their nature. Each cluster of arrived in a set, of which the highest and strongest was, naturally, found in the middle. Lifeguards became able to perceive those that were part of the new set, whistling for swimmers to get out of the water as soon as the first overlaying surf started to swell. It became easier to understand the trend of each wave as soon as it became unavoidable, thus making tourists eager to become a part of it, rather than fear it. An entirely new environment began to form around this new trend. 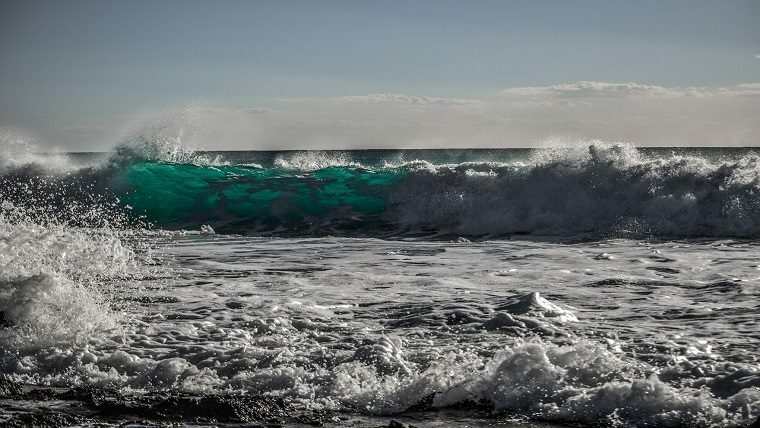 The cause of these mysterious waves was eventually resolved: a new high-speed ferry that cut travel routes from the island harbor Portoferraio to the “continental” connection of Piombino in half the time. But by that time the reason of what caused this wave was secondary: the repeated activity, and inevitability of force, had given the beach and its surrounding ecosystem a new pulse. Learn how your company can navigate those waves in the THNK Creative Leadership Program, a 6-month part-time learning journey to help you realize your fullest creative leadership potential and scale your world-changing enterprise.